Social networking sites have really taken the world by storm over the last 2-3 years with social media linking connecting millions of people from all around the world via Facebook pages and Twitter feeds. But there is a new kid on the block. Pinterest is the newest social media site to hit the headlines and it’s smashing previous records when it comes to growth. A beta version was launched in early 2010 and by the middle of the following year had made it onto a Time magazine list of Top 50 Websites. 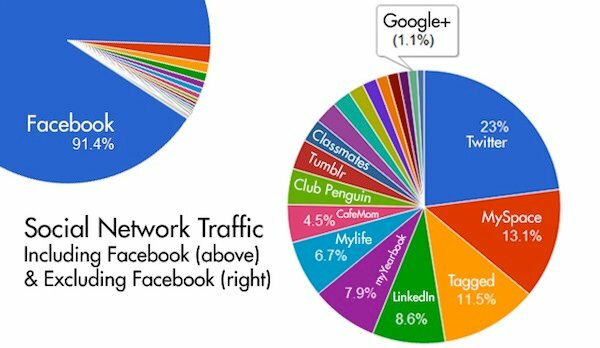 At the beginning of 2012 Pinterest had made it into the history books as the fastest site ever to achieve ten million unique visitors. New visitors to the site are invited to set up a free account and then create their own digital scrapbook pages on any themes of their choosing. As a user surfs the web he or she finds images that fit the theme, which they then ‘pin’ to their Pinterest page. Other users can view the images, comment on them and even ‘repin’ them on their own pages. Website marketing managers have taken note, because this is clearly a great way of introducing a product or service directly to the people most likely to be interested in it. Each ‘pin’ also has a direct link back to the originators website, improving the link profile. A high proportion of Pinterest users, for the moment at least, tend to be female, and this is reflected in the current content of the site. However there are indications that this is changing as more of the male population discover what Pinterest has to offer. With customers clearly identifying their interests – from a bride creating a mood board for her upcoming wedding, to the motorcyclist pinning has favourite bikes and rides, Pinterest represents a significant opportunity to businesses, both large and small, to showcase their products and services and connect with potential customers. In June, amid much publicity and fanfare, Google launched Google+ as the new networking/social media tool. So how is it doing so far? Although opinions are mixed it seems that most agree that there was a very strong initial takeup but traffic has now leveled off a little. So in this brief posting I thought I’d include this chart created by VentureBeat which logs traffic to the various social sites and puts the current situation into perspective. Although Google+ is the quickest website to reach 20 million users worlwide, and early take-up was very strong, at the moment Google+ is still a small player in the social media world, especially when compared to Facebook. As the launch buzz dies down and initial traffic slows Google is entering the next phase which will probably decide how successful Google+ will be. Google is in the process of changing it’s search algorithm. This will potentially effect every website listed on the search engine. This latest update, called Caffine, was announced in August last year, but when the switch will come is not certain, although the general precdiction is that sometime around now is probable. So what changes will Google make in the way it sorts it’s results? Content – site content and its relevance to the search terms will probably gain more weight. Mixed Formats – results from Social Media sites like Twitter, MySpace and Facebook will almost certainly be included in the mix, promoting active sites while also giving ‘real time’ popularity to site rankings. Domain – the links to the domain, domain age and the keywords contained in it will probably become more important. So do you need to panic that your site will shortly disappear from Google’s searches? Well, no, not if your site is well designed and ethically optimised. But slow loading sites need to look at methods to speed up. There are plenty of ways that this can be achieved by using CSS, minimising Scripts and optimising images. And if you aren’t aware of Social Media Marketing then you need to start paying attention and grasp the basics. This is often more difficult for smaller businesses with fewer resources but it may be necessary to get that Facebook page working and start Tweeting to stay ahead of the pack.